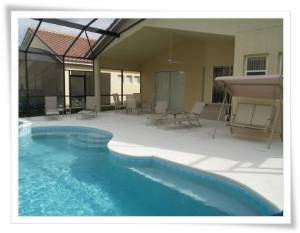 Part of the prestigious Tuscan Hills Resort and close to numerous attractions and recreational avenues, our luxurious Davenport, Florida vacation rental is the ultimate family retreat. 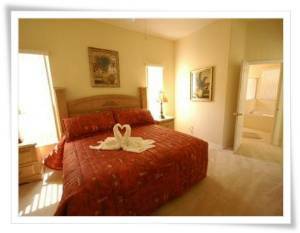 Offering a great location to explore the nearby sights and sounds, we are located on Highway 27. Say hello to the magic of Disney which is just 15 minutes away or live it up at the nearby golf courses, shopping, wining and dining venues. 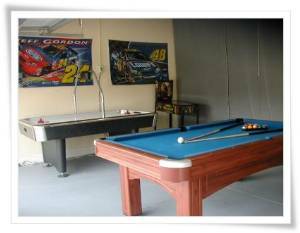 Comfortably accommodating up to 10 vacationers, this air-conditioned 4 bedroom rental villa in Davenport is just right for a large family or two families looking for a fun filled getaway. 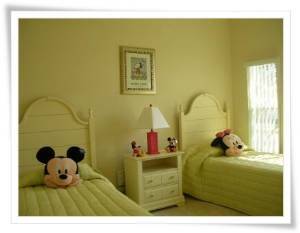 The plush and themed bedrooms include two double beds and four twin beds. The bathrooms are well appointed as per modern standards. You will be delighted to use the fully equipped kitchen to cook your favorite recipes and there is a formal dining table that seats up to eight guests. The living room is beautifully furnished and the entertainment center of our Davenport vacation rental villa features a TV with cable and a DVD player to stay hooked to your favorite movies, shows and sitcoms. To catch up with emails or surf the web, high speed Internet access along with Wi-Fi connectivity is also available. There is an outdoor heated pool which is great for unwinding in or lounging by the poolside sipping your favored brews and working on a great tan. If the sun gets too much, continue your lounging in the screen lanai or indoors. During your stay at this Davenport vacation villa; you get unlimited access to the resort’s amenities. 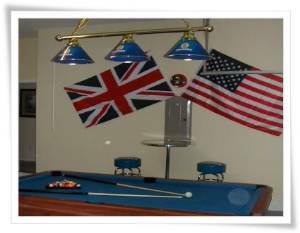 The clubhouse features loads of goodies which include a large lounge area, an outdoor tot lot, tennis court, volley ball court, wireless Internet access and a games room. Fitness conscious folks will appreciate the state of the art exercise facilities. If you are an avid golfer, then staying at our Davenport villa near golf course, you can play couple of rounds at the nearby courses and maybe friendly games with other golfers. Other activities include fishing and water skiing and the beach is just a short drive away where you can enjoy the usual beach fun and activities. 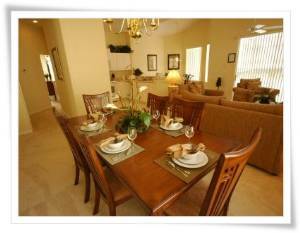 10-15 minutes drive will take you to Disney and SeaWorld and Universal Studios are approximately 30 minutes away. 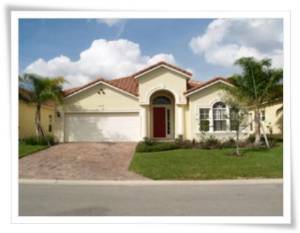 The villa is centrally located for both coasts of Florida. The Atlantic coast beaches, Daytona and Cocoa Beach are just 80km away and can be reached within 1 hour by car. The beaches of St. Pete's and Clearwater on the gulf coast can be reached within 1.5 hours drive. 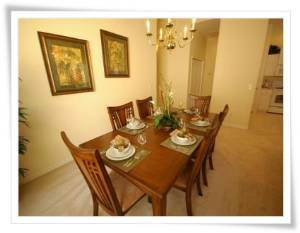 Restaurants, banks, ATMs, supermarkets and service stations are all located very close to this Davenport villa rental, all within a 2 minute drive. A 24 hour Wal-Mart super centre is just 4 minutes north on US 27. If you travel south about 4/5 miles, you will come to the I4. This will take you up to Universal, International Drive, Orlando International and Sanford Airport. Deposit: All rates are in British Pounds $200/£100 per week deposit is required at the time of booking. Balance is due 2 months before arrival.